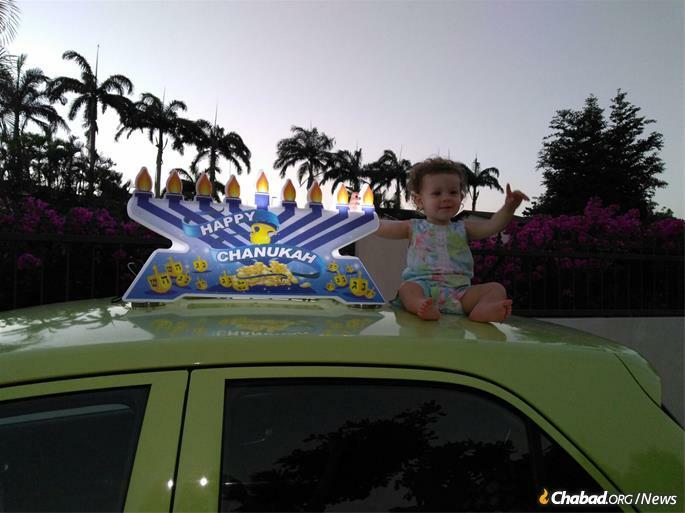 The Chaikins have been living in Barbados since the winter, serving the Jewish needs of locals and visitors. Famous for pristine white beaches, temperate weather and friendly locals, Barbados has long been a favorite tourist magnet. 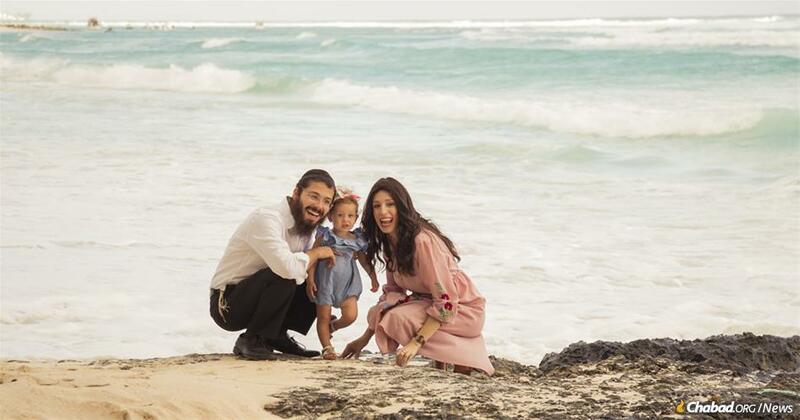 Now the eastern Caribbean island nation has another attraction: its own Chabad-Lubavitch center, headed by Rabbi Eli and Sterna Chaikin, who moved to the island last winter. The 26-year-old rabbi was born in Cleveland, while Sterna, 25, is from France. The couple has a 2-year-old daughter. 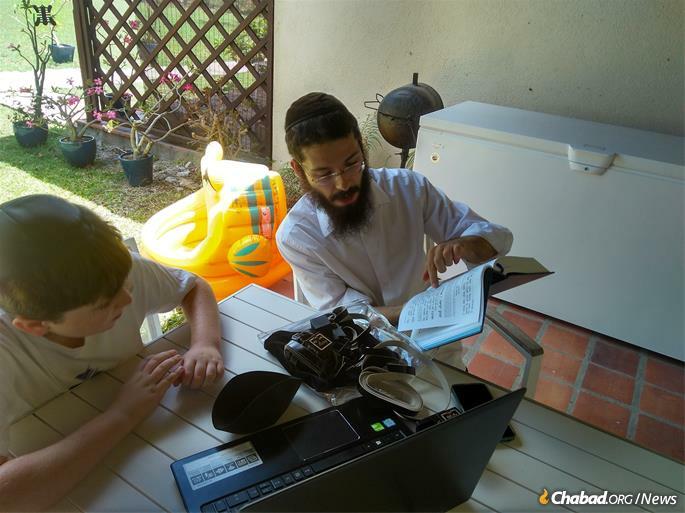 Amsili’s two sons, ages 4 and 11, regularly visit the Chaikin home, where they participate in an informal Hebrew school, learning to read Hebrew and basic Jewish prayers, as well as parshah and holidays. The island’s long and impressive Jewish history dates back to 1628. Just one year after the British established their colony there, a Jewish man from Brazil came to the island. Within a few years, there was an active Sephardic community of merchants whose skills and leadership positioned Barbados as the world’s leading exporter of sugar. In time, they built a synagogue, mikvah and cemetery, establishing their community—which peaked at 800 strong in the 18th century—as a bastion of Judaism in the Northern Hemisphere. Disaster struck in 1831, when a hurricane tore through the island and decimated much of the infrastructure. The Jewish community dwindled, and the synagogue formally ceased to function when the last Jew departed in 1929. Just four years later, a Jew from Lublin, Poland, came to the island, discovering a safe haven from the anti-Semitism that was sweeping through Europe. Over the next two decades, a new community grew, this time in Ashkenazic tradition. 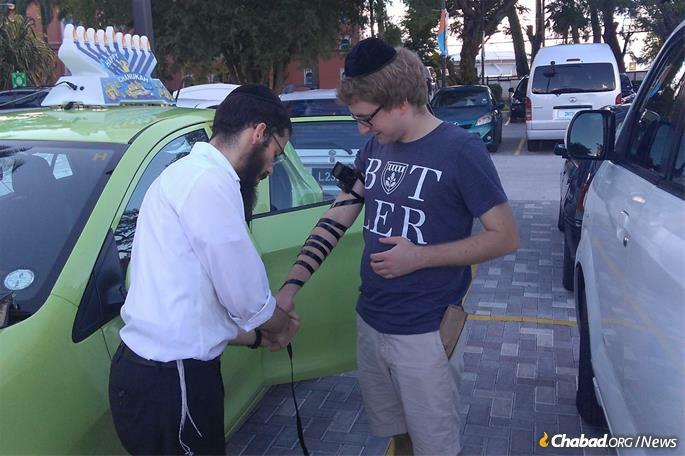 The rabbi helps a visitor with a mitzvah on the go. In 1959, the Rebbe—Rabbi Menachem M. Schneerson, of righteous memory—dispatched rabbinical students to visit the island. In 1961, a Chabad delegation that included a trained mohel visited the island, and 18 young men were circumcised. The Rebbe lavished care upon the Barbadian Jewish community, even lending them his personal Torah scroll while theirs was being repaired. But the second half of the 20th century saw the community decline in numbers again as the older generation passed away, and younger Jews left or assimilated. 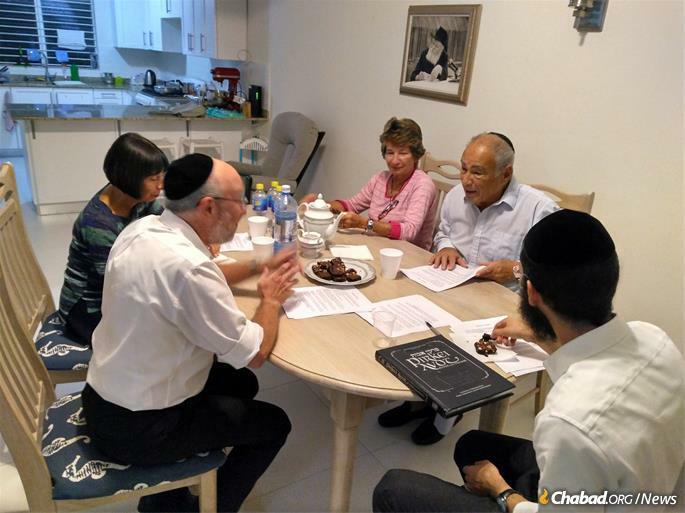 Bowman says he looks forward to the rabbi organizing Shabbat-morning services in the winter, when there are enough tourists on the island to form a minyan (prayer quorum), as well as the availability of kosher meat. “The only meat we had all winter was at the Purim celebration in the Chaikins’ house. Even a piece of chicken for Friday night would make me happy,” says Bowman, who first came to the island in the 1980s, and whose wife, Penny Bowman, developed the interior-design curriculum for a local college. The rabbi travels regularly to a goat farm to arrange kosher chalav Yisrael milk for his daughter and anyone else who may need it. 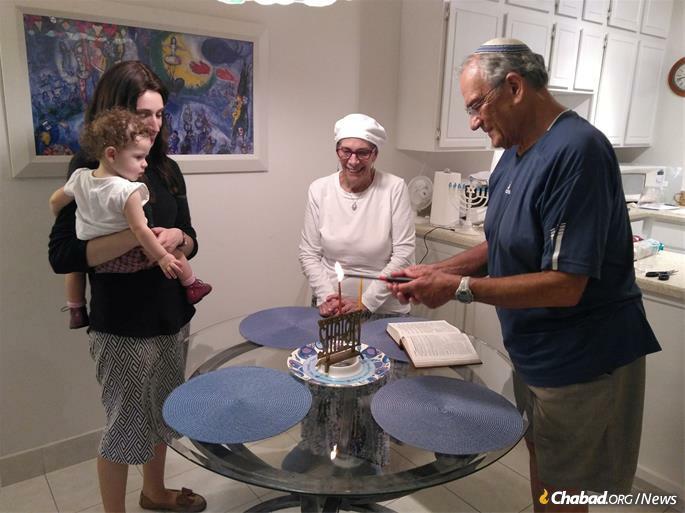 Eric and Penny Bowman enjoy a menorah-lighting and Chanukah celebration with the Chaikin family. The rabbi comes to the synagogue fully prepared with tefillin, Shabbat candles, menorahs and shmurah matzah before holidays, ready to assist visitors with all their Jewish needs. 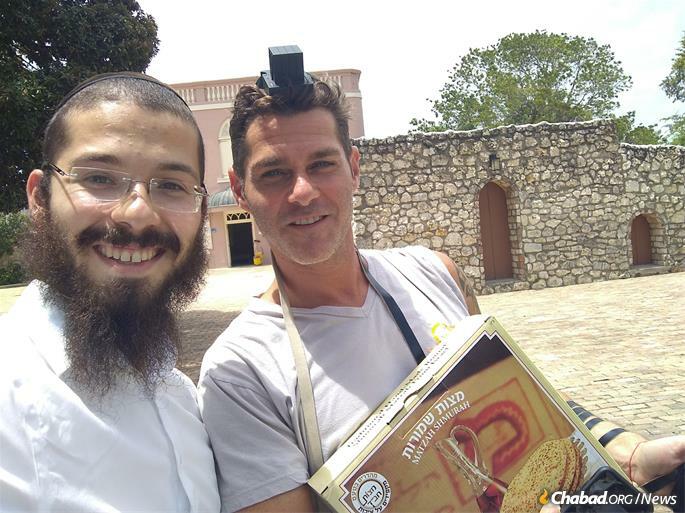 He and his wife also distributed shmurah matzah before Passover to local Jewish residents, many of whom have become frequent Shabbat guests at their home. In addition to organizing holiday celebrations and Torah classes, the Chaikins offer kosher meals for travelers and provide other Jewish amenities. Tourists enjoy kosher meals delivered to their hotel rooms, and the rabbi has koshered villas and vacation homes for visitors in advance of their stays, making keeping kosher on the island much easier than before. This past winter, the rabbi spent significant time at the historic synagogue complex in Bridgetown, where a mikvah (ritual bath) was recently discovered by archeologists. 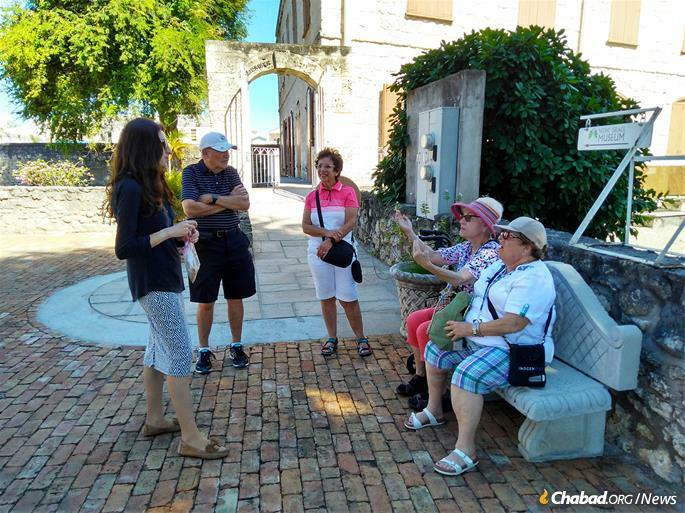 The Chaikins welcome guests to Barbados, exposing them to the island’s rich Jewish past and present. Zarchi notes that several donors have stepped forward to provide partial funding for the new center in Barbados. 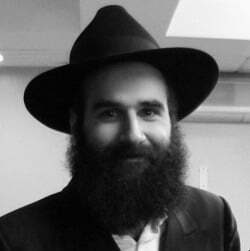 He points to the Rebbe Partnership Fund, in addition to the generosity of the Gad brothers—owners of Diamonds International—who give substantial subsidies to many of the Chabad centers on the islands that have their ubiquitous luxury jewelry shops. 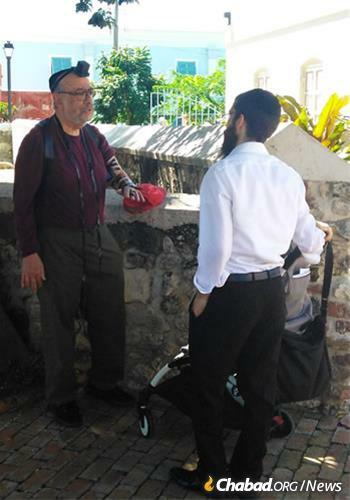 Chabad of Barbados also received significant support from Merkos L’Inyonei Chinuch, the educational arm of the Chabad-Lubavitch movement, and was provided with a Torah scroll from the Jaffa Family Foundation. Loving her new life, sharing Judaism in balmy Barbados. Between Passover and Shavuot, the rabbi led a successful series of lectures on Pirkei Avot ("Ethics of the Fathers"). Before Passover, the Chaikins distributed shmurah matzah to almost every Jew they met. Netanel Amsili gets pre-bar mitzvah lessons from the rabbi, something that was previously unimaginable on the island. The Chaikins arrived in time for Chanukah and promptly sprang into action, getting out and about to meet locals and visitors. 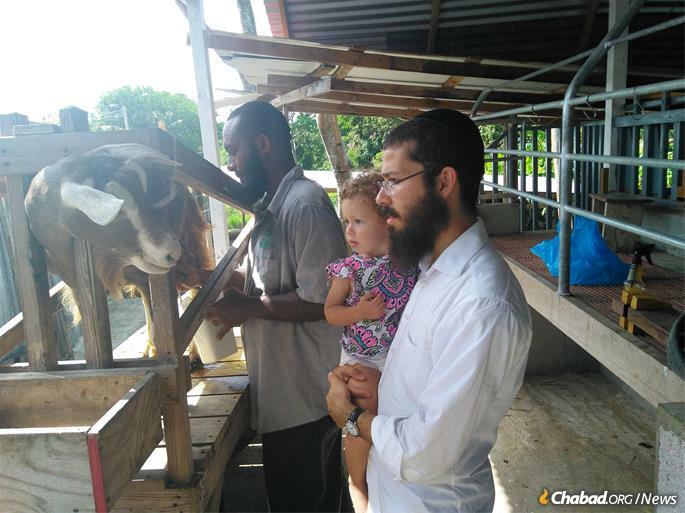 Obtaining kosher milk entails a cross-island trek to a friendly goat farm, where the rabbi (and his daughter) can oversee the milking process.